Wash and soak rajma overnight or for about 9 - 10 hrs. 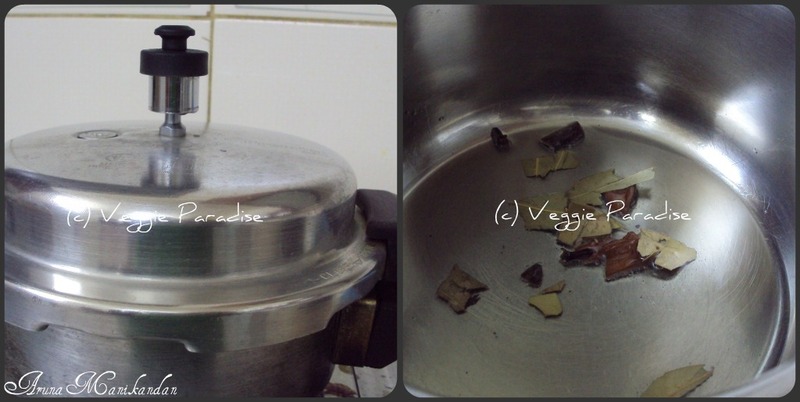 Pressure cook until rajma turns soft(5-6 whistles) and keep it aside (don't drain the water ). Heat oil in a pan, fry cinnamon, cloves and bay leaf. 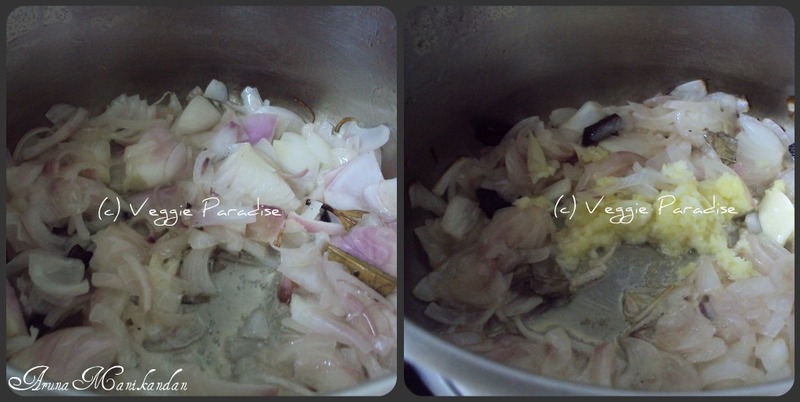 Add the chopped onions, fry until they turn translucent,now add the ginger garlic paste and saute it until the raw smell extracts from it. 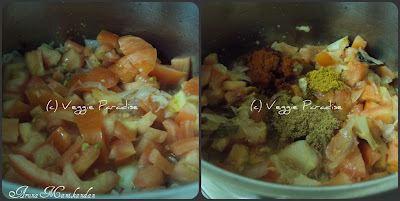 Add the chopped tomatoes along with the chilli powder,turmeric powder, coriander powder, garam masala powder and mix them gently, allow the tomatoes to get cooked well.Keep stirring the masala now and then. 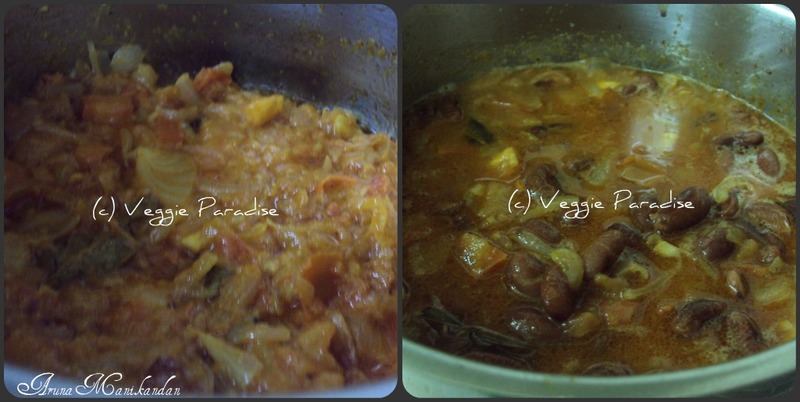 When the tomatoes get cooked well along with the masala's, add the cooked rajma along with the water we have pressure cooked and salt. Cover and cook in low flame until the gravy gets thickened and rajma combines well with the gravy. when the gravy thickens, garnish with fresh coriander leaves. 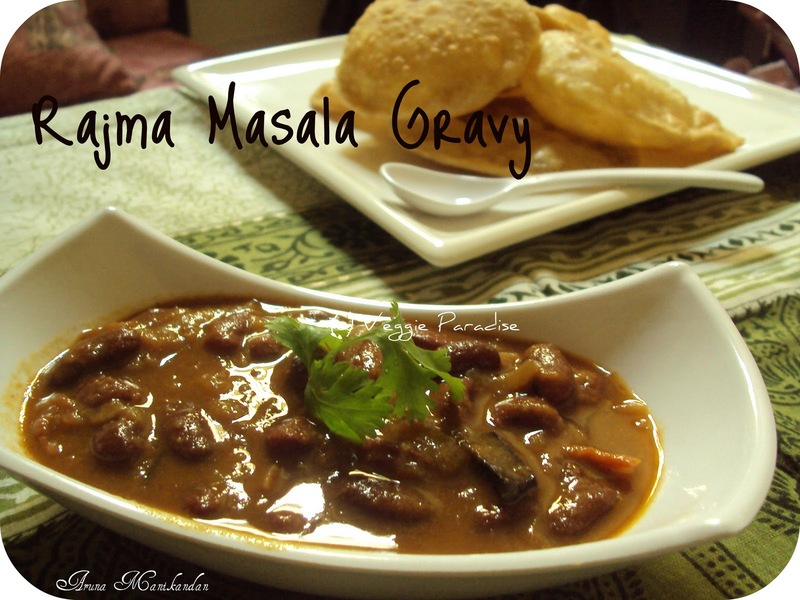 Rajma masala gravy is ready to be served.. This is my all time favorite combo..such a comforting meal. perfect meal...gravy looks delicious !!! 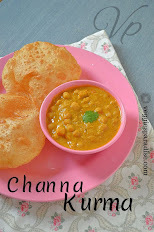 one of my most fav comfort food of all time..loved your version! 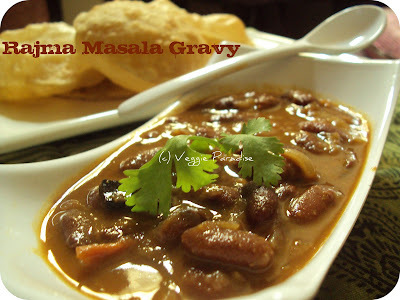 Healthy and perfect recipe for rotis / chapathis..
Curry looks yummy,best combo with rice and chhappathis..
Love rajma masala..Yummy clicks, Aruna..
Great looking rajma curry,truly inviting..
A favourite and looks delicious! 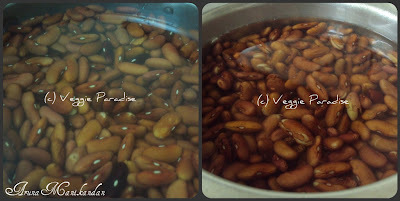 I love this a lot.. i can eat this without any breads... love it alot. wonderful recipe aruna,love the step vise pics...thanks for sharing. 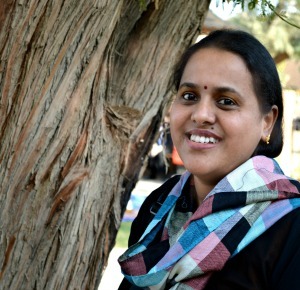 Nice space...and rajma my favourite...good to follow you..
you make the directions so easy to follow!